Starting up your own medical billing and coding business can be a lucrative and successful career option, as long as you create your business the right way and manage it properly. Even though you may be able to set your own hours, you're always the business owner. If something goes wrong, if there is an emergency, or if other situations arise, you're the one responsible. This means phone calls in the middle of the night, stressful staffing situations, and possibly a big work load. And to top it all off, you have to think about keeping your business legal, including paying your taxes, dealing with employee benefits, and maintaining your professional credentials. 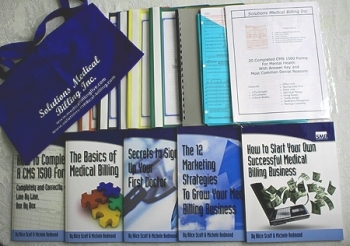 If you're interested in starting up, we recommend the Medical Billing Business in a Box, a collection of ebooks covering pretty much every topic you need to know get started and become successful. Learn more about it here. The first thing you need to worry about when starting a medical billing business is making it legal. You have to make it a legitimate business. You can't build a business, grow your company, and expand your clientele without first making your business legitimately recognized as such by the state. Exactly how you do this varies depending on which state you live in, but the basics remain the same. You'll need to get your business license and Tax Identification Number (TIN). Your business license is basically a certification offered by your state which shows that you are a legitimate business, including what type of business you are. When you go to your state office to get registered as a business, you'll have to decide whether you'll be a sole proprietorship, a company, or a corporation. and how much money you make. Sole proprietorships are the easiest business licenses to get, and are very easy to get by yourself. Corporations, on the other hand, are much more complicated - you may need an accountant's help to make sure you file everything correctly. You'll also need to get your Tax Identification Number, usually referred to as a TIN. To get your TIN, go to your state tax office. They'll show you how to get one. Usually, if you're a sole proprietor, you can use your own Social Security Number. If you have a larger business, you'll be assigned a unique TIN and registered in the state database. When you pay your taxes at the end of the fiscal year, you'll use your TIN as the business identifying number. This helps your state tax office recognize who you are and what type of taxes you are paying. Another big decision when starting a medical billing business is whether or not you'll employ other people to do the billing and coding work. More than just passing the daily responsibilities on to someone else, keeping employees is a whole new level of business owner responsibility. Not only do you have to pay your employees, but you have to maintain their payroll taxes, decide whether or not you'll offer benefits like medical insurance and retirement plans, and hire and fire new personnel. This may not be a problem for you... but it's too much responsibility for some people to handle. If you're worried about it being too much, start out with one or two employees, see how it goes, and scale back if needed. If everything goes smoothly, you may want to hire more people and expand your business. No matter how big or small you plan to be when starting a medical billing business, you'll have to deal with accounting sooner or later. Accounting is basically making sure all your business numbers add up. Because accounting is very detailed, confusing, and time-consuming, you may want to hire an accountant to help you with the majority of the accounting work. An accountant will maintain your books, pay your taxes, and keep your business legal. You may hire an individual accountant or employ an accounting firm, depending on the size of your business. When you choose an accountant, find someone you can trust, who has a good reputation, and with whom you have a good rapport. 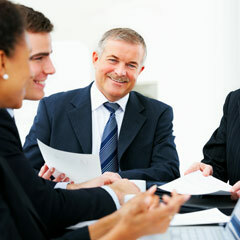 These are three essential characteristics of a good business owner-accountant relationship. Will I do my own accounting, or hire someone else? 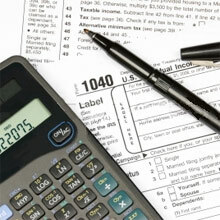 Is the accountant qualified to handle state and federal taxes? Can they manage the workload I bring them? The answers to these questions should lead you to the right accounting situation. One further thing to consider when starting a medical billing business is to decide upon your marketing strategy. This is an essential part of being a business owner - it's the basis of getting and maintaining your clientele. Without clients, you don't make any money. Creating a good customer base secures your business in the market. Getting clients may be as easy as spreading your business by word of mouth, or you may have to make marketing phone calls and office visits. You can also advertise in print, on the radio, and on television. The type of marketing strategy you choose will depend on how large your business is, and what type of clients you're trying to secure. For more, see our strategies for marketing a small business. After you've made all the necessary business decisions, filed and maintained all your legal and accounting paperwork, and found your clientele, you have to keep it going to make you money for the long term. The biggest asset you have when starting a medical billing business and running it is your work ethic. If you work at keeping your business the best it can be, it will work. Market fluctuations will inevitably arise, so plan on a downturn sooner or later and be prepared. Furthermore, stay on top of the medical billing and coding ball. Keep highly trained, credentialed personnel, and stay fully aware and educated about all the changes going on in medical billing and coding. This will make sure you offer the most up-to-date and comprehensive medical billing and coding service. No matter what type of business you have, and how big it is, remember to keep your good work ethic and always maintain the legal side of your business. This will ensure your success and keep making you money for the long term! For advice on the physical steps you need to take, see starting a medical billing business part 1. Want to learn everything you need to know to start up? We recommend the Medical Billing Business in a Box.